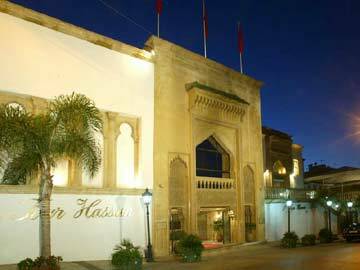 The Famous La Tour Hassan Hotel In Rabat! La Tour Hassan hotel is not only popular in Rabat, but is a top choice for travelers and business class among all the Moroccan hotels. The location and style and the ambience with great services are the reasons, why this hotel is on top of the list for majority of travelers. 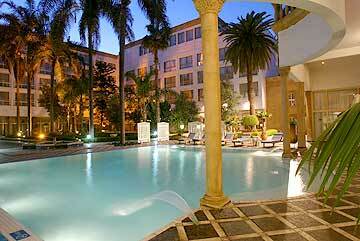 The hotel is close to both the Rabat and Casablanca airports. 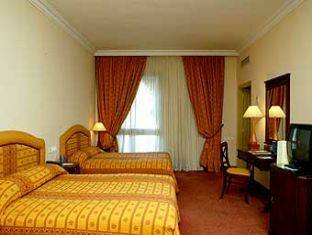 La Tour Hassan hotel is an excellent abode for both business and leisure travelers. The hotel has a well-designed business center with all the latest amenities. It is also a preferred place to stay, as it is supported with all the modes of public transport. The hotel comprises of 144 fine designed rooms. The rooms here offer all the required amenities and services and you can have lovely views, when you peep out of the window. La Tour Hassan hotel offers delicious food for the Food lovers. It has two restaurants that serve international and Moroccan delicacies. La Maison Arabe is the restaurant that serves only Moroccan delicious food. The other restaurants will also offer you wide range of European dishes. La Tour Hassan hotel offers facilities like Golf course, salon, gymnasium, conference facilities, boutiques, sauna, room service, tennis court, swimming pool and many other such amenities. The hotel is a home away from the busy schedules. It offers perfect infrastructure and services to unwind and relax your mind, body and soul. The location has many hotspots to visit. You can visit The Rabat palace, Hassan tower, Medina, cathedral of St. Pierre and many other exciting spots. La Tour Hassan hotel is the place, where warmth and serene ambience surrounds it and thus makes a perfect spot to spend your vacations or business trip.